Smarter Fulfillment Drives Down Costs and Improves Accuracy. 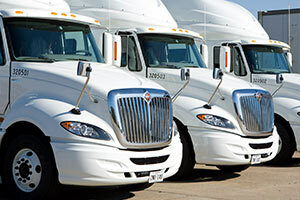 is an experienced, full-service company that delivers to a global customer base. We combine expert order fulfillment services, logistics and carrier solutions, state of the art facilities and real time reporting to deliver a powerful range of solutions. Pick and Pack Fulfillment – B2B, B2C, Retail and Wholesale Channels. 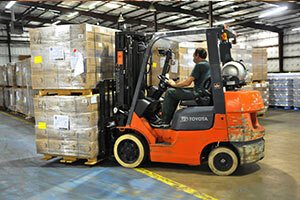 Warehousing and Inventory Management – Secure storage and warehousing of inventory. Print and Packaging Services – Packaging, collateral and printing of support materials. Real Time Reporting – Automated and web based reporting. Shipping Expertise – Custom shipping logic, carrier discounts, zone skipping and package consolidation. Contact us today to discuss your fulfillment needs! WHICH FULFILLMENT COMPANY IS RIGHT FOR ME? Fulfillment companies can vary widely by experience, market focus, scale, technology and flexibility. Finding the right fulfillment partner can be one of the most important decision you make for your business. 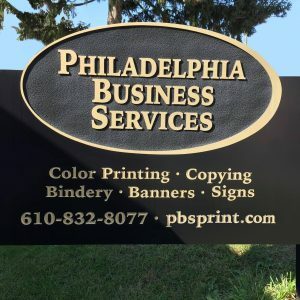 Philadelphia Business Services has been serving customers since 1993. We take a consultative approach to our client relationships to build long term value and program efficiency. Contact Us to discuss your fulfillment goals further, we look forward to talking with you! Philadelphia Business Services commitment to our clients is one of continuous process improvement. With over 100 years of combined fulfillment expertise, Philadelphia Business Services team members have the knowledge and background to take on our most complex customer needs. We are constantly seeking out new and innovative ways to drive process improvements. Developing and measuring Key Performance Indicators enable us to benchmark performance and success with our clients. These ongoing enhancements over time will continue to improve accuracy, reduce costs and position your fulfillment program for scalability. At Philadelphia Business Services we specialize in product / order fulfillment. We will get your finished products delivered quickly and efficiently with the most consistent and reliable fulfillment accuracy – we support shipments directly to businesses, consumers, distributors and retail. Our warehouses have thousands of square feet for inventory storage. At Philadelphia Business Services we can store products in on pallets in bulk, forward pick area shelves or in a secure environment for high value products. Advanced real time tracking of inventory levels and supply of products is easily resolved. Philadelphia Business Services is here to exceed the demanding requirements of your retail, wholesale and channel distribution needs. Our large scale warehousing and shipping facilities allow us to directly distribute your products to major independent retailers, distributors, resellers and affiliates.